Happy New Year from our team at Sanaz Harirchian, M.D. Facial Plastic Surgery. We are honored to enter 2019 serving our patients, like you. Dr. Sanaz Harirchian is pleased to offer you FUE Hair Transplant using NeoGraft and other non-surgical procedures. NeoGraft is a great method for achieving realistic and natural hair growth to solve your various hair loss issues. You may be experiencing hair loss for a variety of reasons. About two out of three men experience hair loss by the age of 60. For men, this is due to male pattern baldness. There is also female-patter hair loss as well. For women, this usually results in a widening part or thinning of hair. If you are experiencing hair loss it can be devastating. Hair loss is also called alopecia. This condition can cause the loss of self-esteem and cause depression, anxiety or other emotional and social issues for both men and women. For women, hair is what makes them feel beautiful. For men, hair can give them a feeling of attractiveness. With the loss or thinning of hair, the impact can be large and wide. 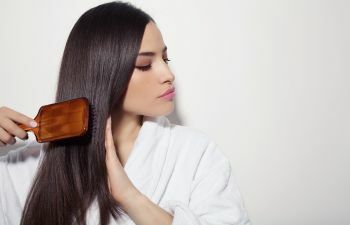 While hair loss or thinning can be devastating, there are steps you can take in 2019 to give you new hair. NeoGraft is a highly specialized procedure that utilizes the FUE procedure. This precision technology selects follicles to be harvested and then implanted wherever you need them. If you are experiencing hair loss or thinning, contact the office of Sanaz Harirchian, M.D. to see how you can experience the exciting results of your own hair, naturally.